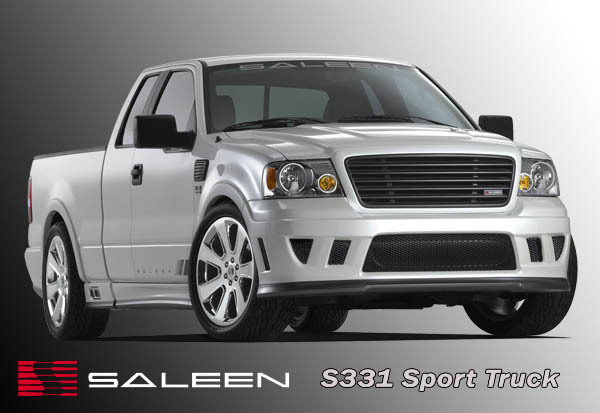 Saleen, the premier manufacturer of limited edition, high-performance vehicles, marks a new paradigm in sport truck performance with the Supercharged Saleen Sport Truck S331. 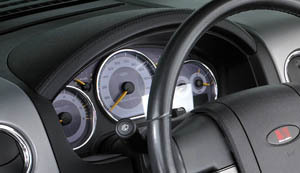 The pre-production model debuted at the 2006 LA Auto Show. 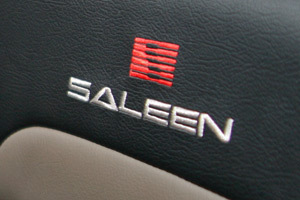 Steve Saleen, president and CEO of Saleen, said, "We set out to produce the perfect high-performance truck. The Saleen Sport Truck integrates higher horsepower, superior suspension, and aggressive styling with the best in functionality. Our sport trucks are the perfect answers for individuals whose lifestyles take them from the beach to the mountains to the country club, all in a day. They are also the perfect sport trucks for individuals who are passionate about what they drive - they’re for individuals who require sports-car-like handling and performance, yet whose lives require the utility of a pick-up truck. These Saleen Sport Trucks are exceptionally versatile high performance vehicles." "Trucks account for half of all new vehicle sales in America. Our certified dealers and countless consumers have been requesting us to manufacture a high-performance Saleen truck. By introducing both the 3-Valve and the Supercharged Saleen Sport Trucks we believe that we are right on target with the market. The big difference is that the new Saleen Sport Trucks will give consumers the extreme performance, expressive styling, exceptional value, and the exclusivity that comes from the experience of driving and owning a Saleen - all in a fully-functional truck," Steve Saleen continued. 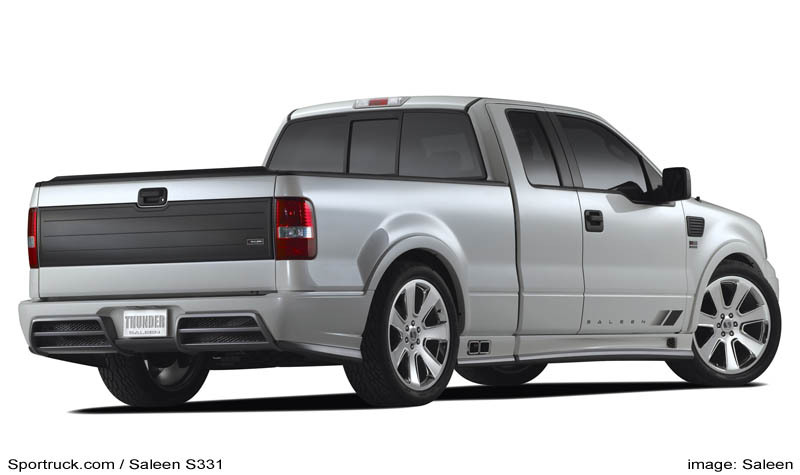 Both Saleen Sport Truck models will start in the Super Cab style and will feature a 5.4L, 3-valve SOHC V-8 engine, and are scheduled to be available at certified Saleen dealers in July as 2007 models. The Saleen Supercharged Sport Truck packs a punch at 450 bhp @ 5200 RPM, and with 500 lb-ft of torque @ 4000 RPM which is due in part to the unique, patented, high-flow Saleen Series VI integrated twin-screw supercharger. 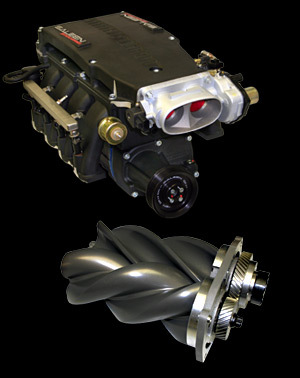 Here, air is compressed through the twin screws and then runs through the dual-stage, water-to-air intercooler, which reduces the intake air temperature. With this cool, dense air, the Saleen Powerflash performance calibration system radically increases the power and performance. In recognizing the trend of consumers wanting more choices, the Saleen Sport Truck will be offered as a normally aspirated, 3-Valve Sport Truck, which offers 325 bhp @ 5000 RPM, and with 400 lb-ft of torque at 4000 RPM. Every thought has gone into taking the Saleen Sport Trucks’ performance to the extreme. 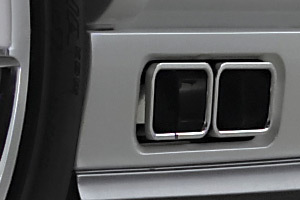 Both the 3-Valve and Supercharged trucks are equipped with a unique integrated Saleen exhaust system with twin side pipes, which produce a unique appearance that enhances power, performance, and sound. Because of the increased horsepower and distinguishable Saleen sound, the engineers at Saleen have affectionately named the truck, "Thunder." Designed to raise handling to new levels, Saleen Sport Trucks are equipped with Saleen Racecraft suspension. The front systems include N2 struts with linear-rate coil-over springs, a tubular anti-roll stabilizing bar and urethane pivot bushings throughout. Because it’s all about performance, calibrations are specifically set to a high-performance level. The rear Saleen Racecraft suspension consists of a live axle, leaf springs and N2 shocks. 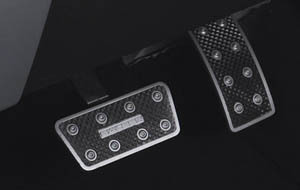 The overall Saleen suspension system reduces load transfer which improves handling under braking and hard cornering. The truck’s overall styling is complete with front and rear Saleen seven spoke, 23-inch forged wheels, on high-performance BFG 305/40 series tires. 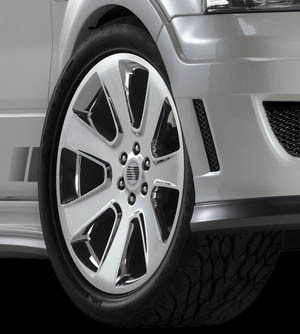 For responsive braking the Saleen Sport Truck comes equipped with power assisted 4-wheel ABS brakes. The front brakes have 15.0-inch slotted and vented disks with Saleen ABS 6-piston calipers, while the rear brakes are 13.7 inches. In total, the Saleen Racecraft suspension elevates performance without sacrificing the quality of the truck’s ride, its load, or towing capacity. Great aerodynamics and exceptional styling are engineering feats that have been Saleen hallmarks for decades, and the aero and styling of the Saleen Sport Trucks are truly exceptional. The Saleen Sport Trucks’ superior aerodynamics come from specially designed injection molded components made from Thermoplastic Olefins (TPO), built to withstand the demands of the truck. All Saleen front and rear fascias, side skirts are uniquely Saleen - built to be rugged and durable, yet stylish and performance enhancing. 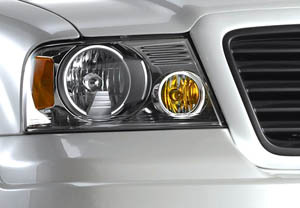 The stylish Saleen front grille is also designed for improved aerodynamics. The Supercharged Saleen Sport Truck integrates a unique hood with exhaust venting grille. 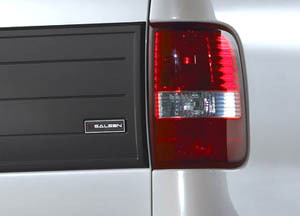 The Saleen Sport Truck also has side fender vents, rear spoiler, and attractive tailgate panel. 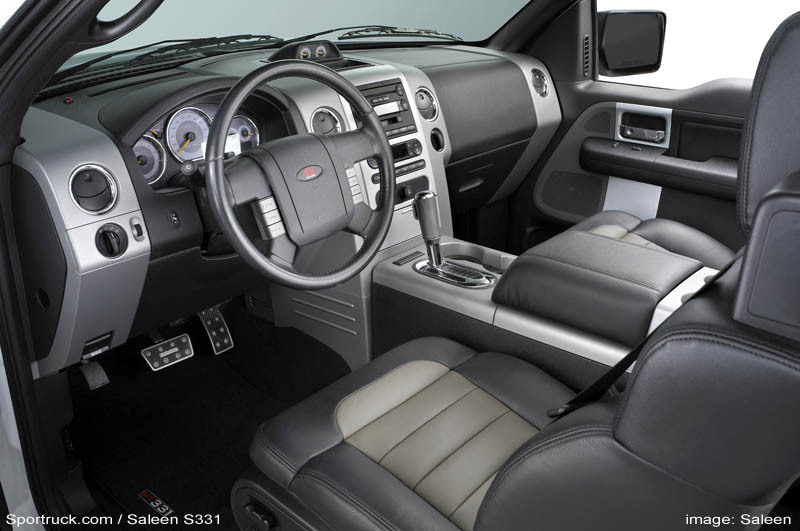 No longer just for utilitarian uses, the racing-derived, totally upgraded interior of the Saleen Sport Truck has double-stitched leather sport seating throughout. The exclusive interior also incorporates a jewel-like instrument panel, featuring a twin-gauge pod display, integrated silver panels and bezels, double-stitched leather console armrest, and Saleen race-style pedals. 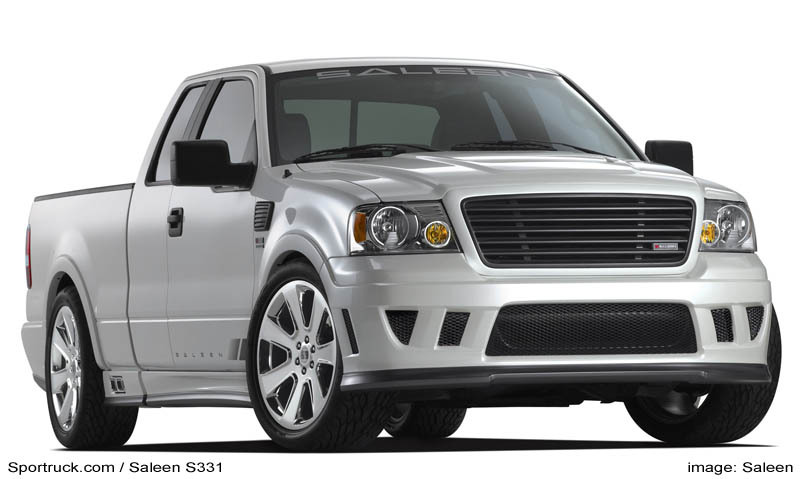 Raising the bar, Saleen will begin offering a number of Saleen Sport Truck options. These options will further enable owners to uniquely personalize their Saleen Sport Trucks. Some of the Saleen options that will be available include: HID headlamps, bedliners, tonneaus, tow packages, motorcycle, bike and gun racks, sound and entertainment systems, GPS, ski racks, and heavy-duty toolbox, and as you’d expect, there will be nothing standard about the Saleen options. The 2007 Saleen Sport Truck is scheduled to be in full-scale production in both Irvine, California and Troy, Michigan facilities in July 2006, and will run true to the manufacturer’s pedigree, which has been standard with every Saleen S281 Mustang and S7 supercar. Each Saleen Sport Truck is fully-certified and carries a 3-year, 36,000 mile warranty through Saleen, and will also possess the Saleen production bumper number, as well as an interior dash plaque. Manufacturer’s Suggested Retail Price (MSRP) for the 3-Valve Saleen Sport Truck with standard equipment is expected to start in the high $30,000’s, and the Supercharged version is expected to start in the high $40,000’s. Bore and stroke 3.55" x 4.17"